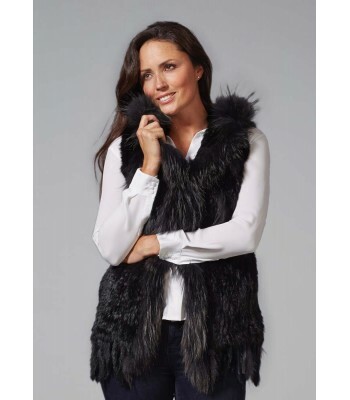 The Hooded Fur Gilet is the ultimate in luxury outerwear and looks particularly stylish when worn over one of our pieces of knitwear. 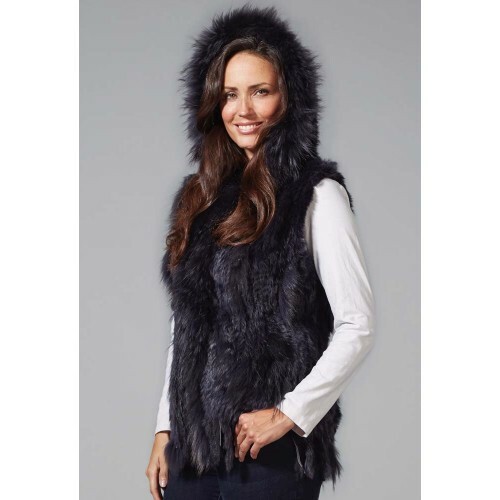 This Gilet comes with a hood and is slightly longer in length adding to the incredible warmth that these gilets provide. 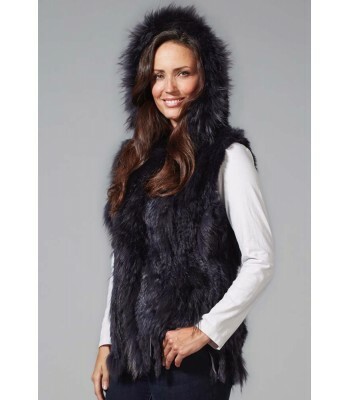 The design is classic and adds a touch of stylish sophistication to any outfit. 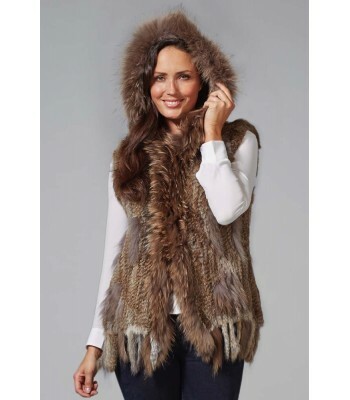 The model is seen wearing a Button Back Jumper in Oatmeal under the Gilet. 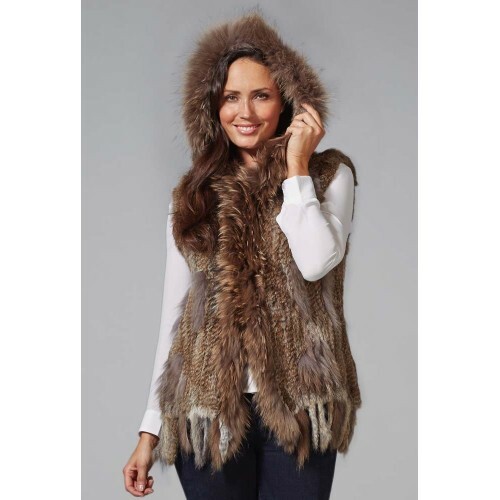 The Hooded Fur Gilet is available in Pale Grey. 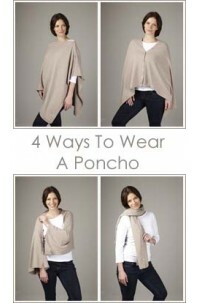 Size: 48cm Wide (across chest) by 64cm Long. 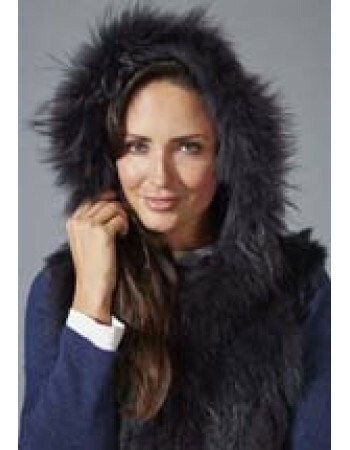 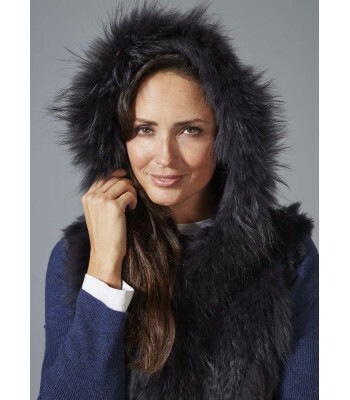 The Fur Gilet is made from Rabbit. 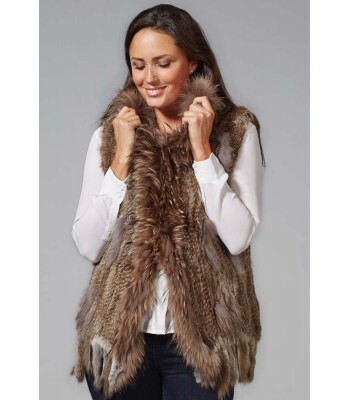 The Gilet should be cleaned professionally and to preserve the quality of the fur, cold storage during the summer months is recommended.